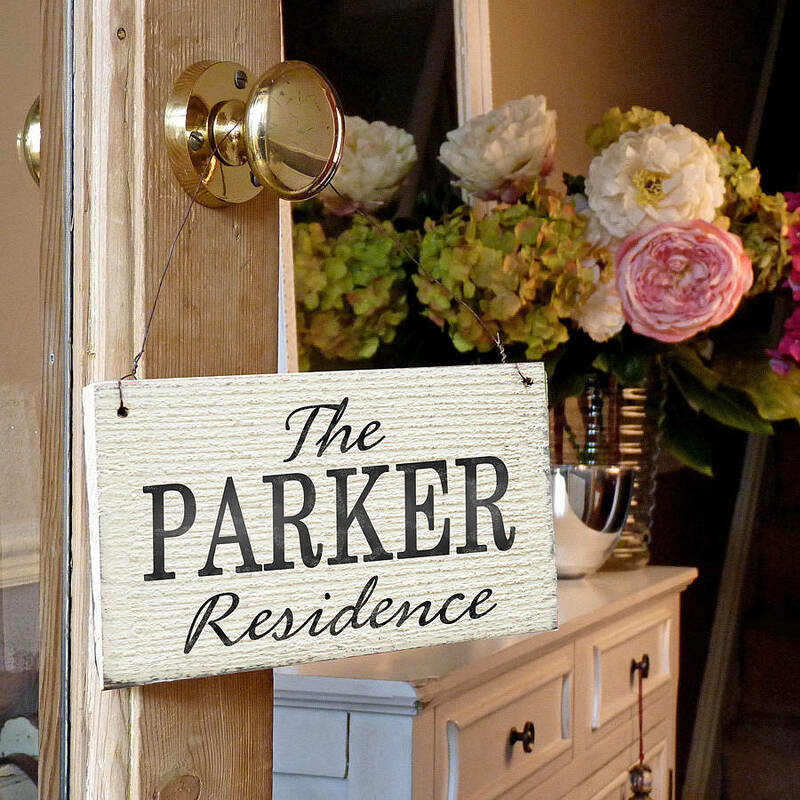 A delightful hanging wooden door sign, personalised with your own choice of words. 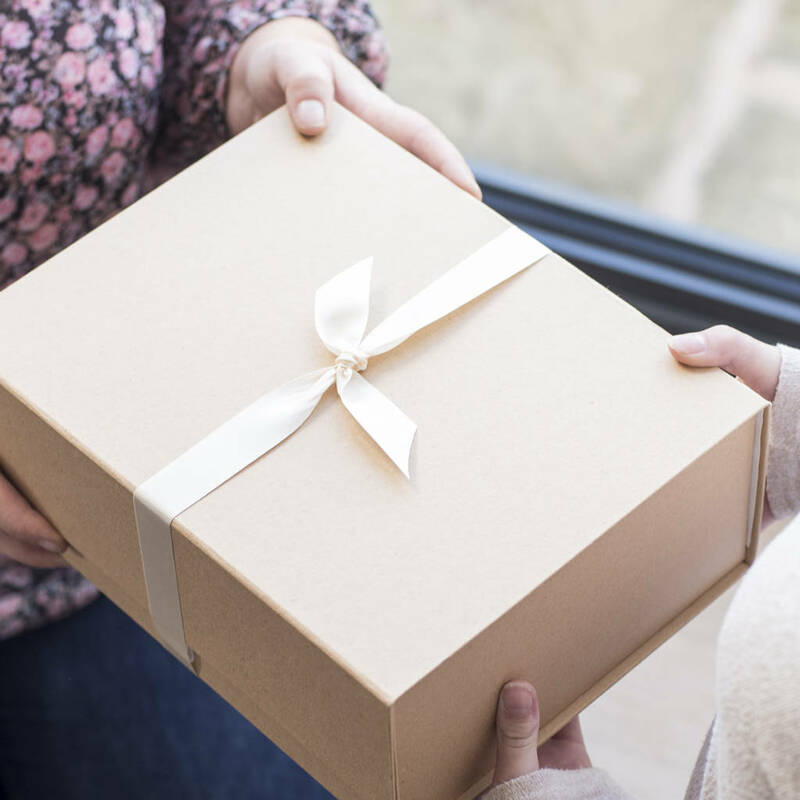 A lovely gift idea for friends or family. 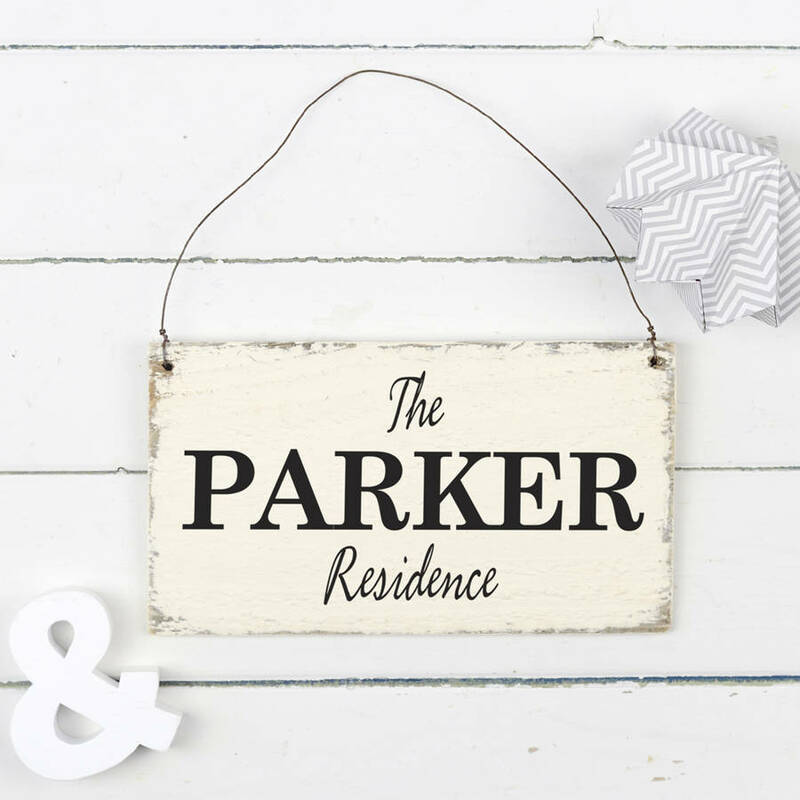 Personalised signs make a great addition to your own home and a thoughtful gift for someone special. 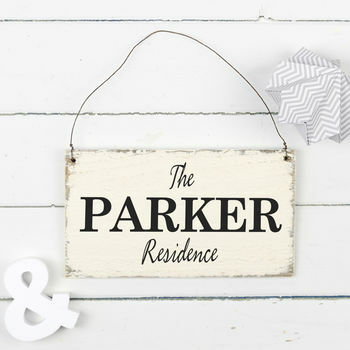 Each of our wooden signs are handmade to order from reclaimed wood and personalised with your own words, making a one-off unique sign - just for you. We use a mix of script style lettering and block capitals to best present your choice of wording. When entering your personalisation, please type all the words you would like to appear. Designed in our signature faded cream with black lettering and distressed for an authentic aged appearance. This sign is shower proof but we can add a waterproof seal for permanent outdoor use should you wish - just select when ordering. Handmade from recycled or upcycled wood and distressed for an authentic aged appearance. Hung with a rusted wire hanger.